The Training camps in Costa Brava are a great opportunity for your team to prepare the coming season in a perfect clima, superb facilities and competitive matches with Spanish teams in your same level. Fantastic & sport friendly hotels close to all facilities in walking distance give you the possibility to organize the best trainingcamp with a perfect price. It's a unique experience for your team that will be very helpful for trainer and players to get the spirit and the motivation they need to face up the official competition at home. Get in touch with our specialists who will assist you to put together the perfect sport tour for your team. “Claudia, I just wanted to take a moment to thank you and your whole team for the amazing work you did for our team.” Ihab Leheta - Greennfield Park Cobras from Canada. Arrival in Spain. Check in at the Hotel; briefing about your training camp. In the morning, 90 Minutes training in an artificial grass (or grass) pitch close to the hotel. In the afternoon, 90 Minutes training in an artificial grass (or grass) pitch close to the hotel. 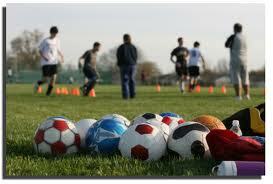 In the evening, friendly match with a local team in your age group and with a similar level. Excursion to Barcelona, visit the Camp Nou and the highlights of a great city. Note: This tour is only an example an can be adapted to any requirements of your team. Artificial grass and grass pitches. The facilities are close to the hotels, in a walking distance of 5 - 10 minutes. The Costa Brava, is known for its many amenities. There is a large selection of discos, bars, restaurants to choose from, sandy beaches and breathtaking views. There are also many interesting excursion possibilities to do if you want to get to know the surrounding area and have a good time such as Barcelona and the Camp Nou, Girona, several theme parks, Dali's Museum etc.